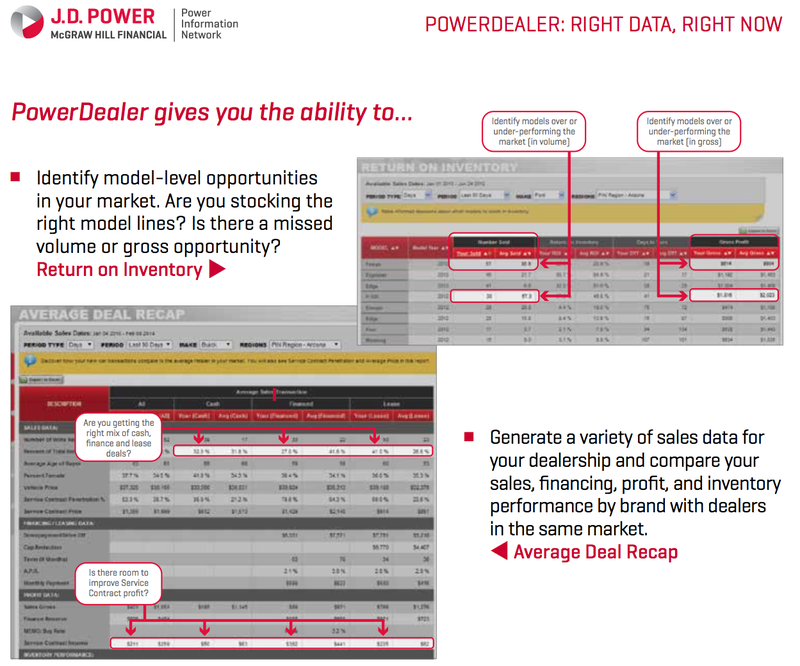 Numbers Reveal The Truth About Your Dealership's "PowerDealer" Status! 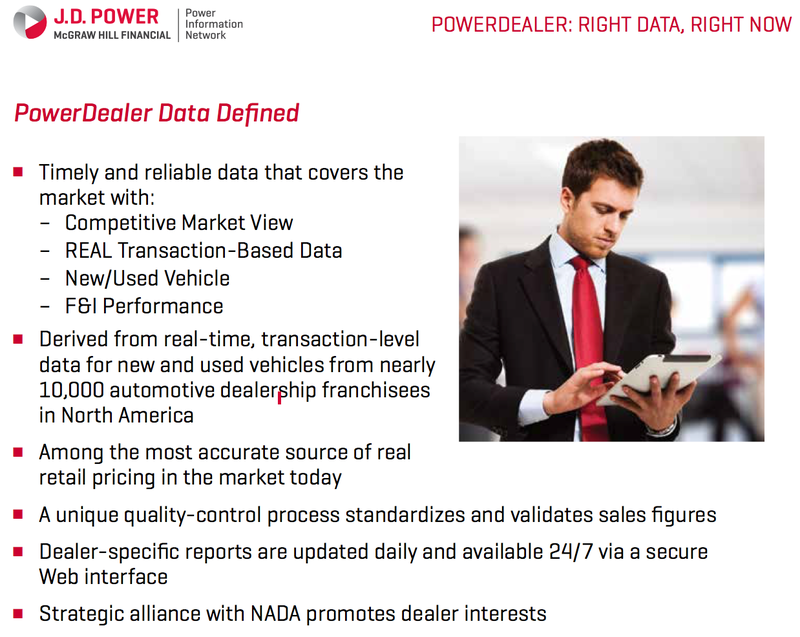 An example of how this might benefit a used car dealer, is in off-brand trade-ins. A Ford dealer who has a customer come in with a Fusion or an F-150 knows the trade-in and resale values of those vehicles because he deals with them on a regular basis. He is likely less familiar with a Honda Accord or Nissan Altima, Racho said, and while he might think he knows those values based on his own experience, the data can provide factual information regarding their value in that market. PowerDealer provides that dealer with what those cars sell for in that market, ensuring a quicker, profitable turn. 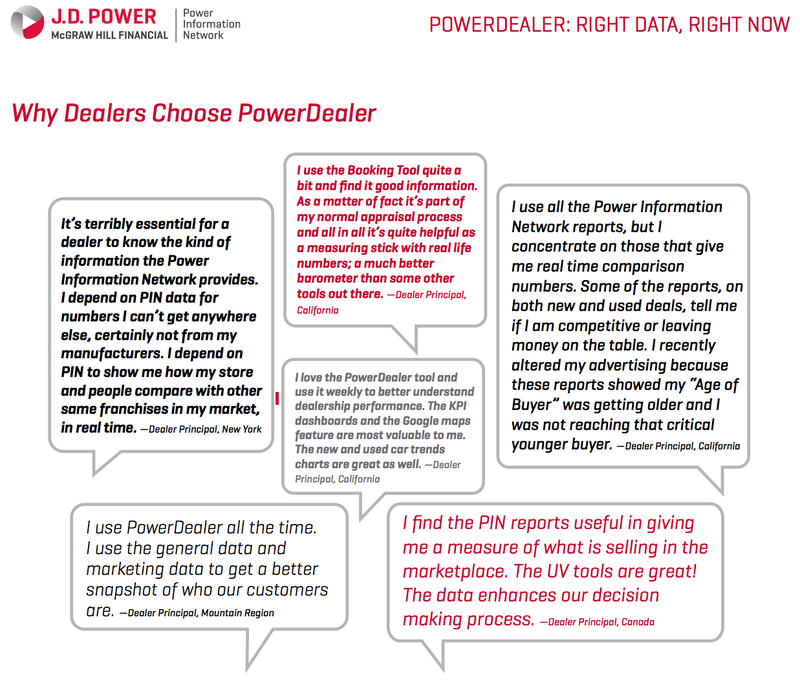 Perhaps more importantly, PowerDealer allows dealers to see into the future a bit and adjust business strategies accordingly. 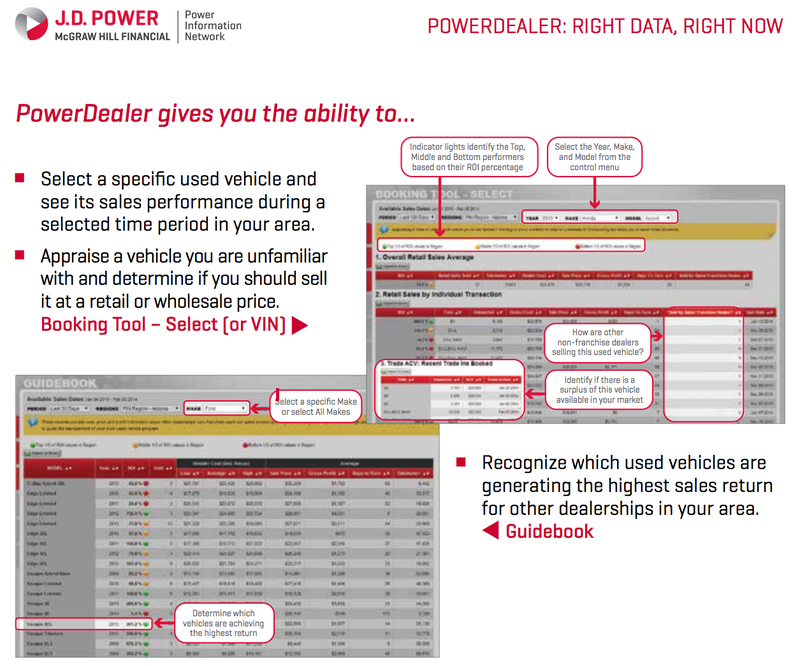 If the data shows, for example, that a particular car sells well or doesn’t sell at all in your market plans can be implemented to take advantage of that knowledge. 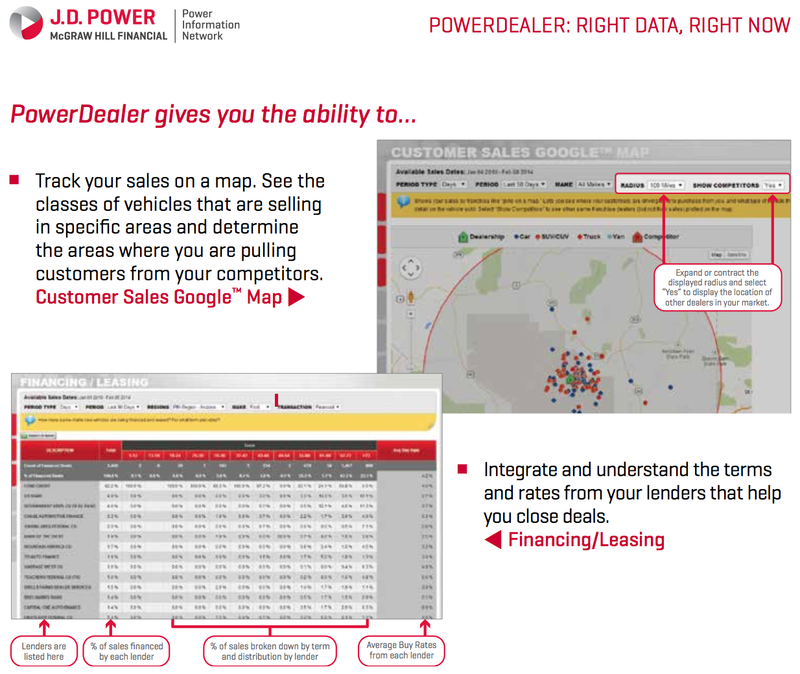 Recently, PIN began integrating its data collection with Google Maps, allowing dealers to see where in the region it sells a lot of cars or not many at all. GMs and principals can also use the website’s goal-setting element to set goals for the week or month based on the data at hand. Having that information available to the entire staff can go a long way towards getting everybody on board to the plan, Racho said. 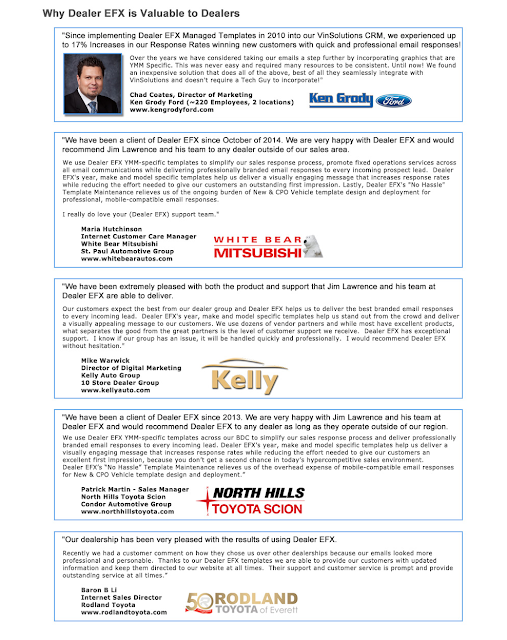 In response to the many requests heard from interviewing many of those dealers, PIN developers are working on updating the systems to be able to send text updates and alerts regarding breaking developments. “We’ve spent a significant amount of time at premiere events and gone out and knocked on doors asking people what they want to see,” Racho said. 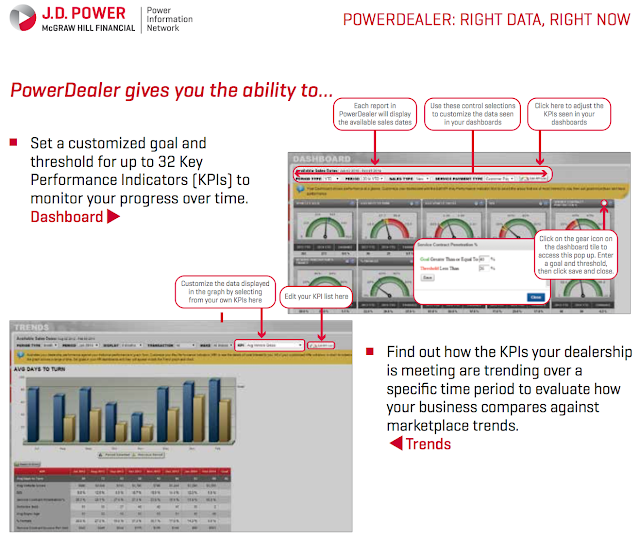 Dealers want more granularity, more specific insight into their particular store’s performance, more insights into understanding what the potential drivers of increased profitability is. Racho said that information will include not only the alert, but a possible solution.